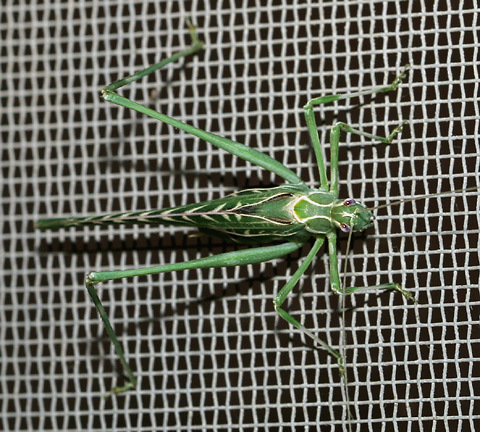 I discovered this female Elegant Bush Katydid (Insara elegans) crawling around on a screen door one evening this past September. These nocturnal insects are also known as Mesquite Katydids because they are often found on Mesquite trees (Prosopis spp.). 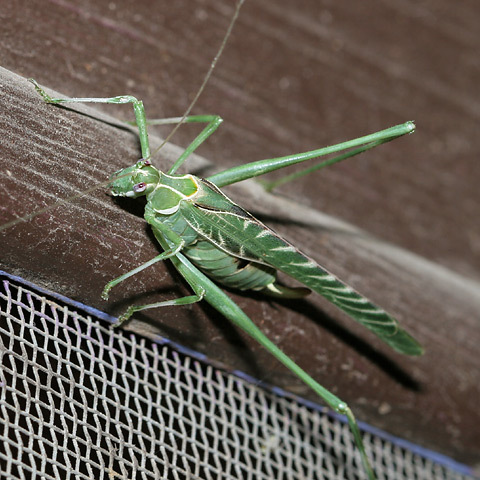 This green katydid can be identified by its green pronotum edged with white and the nine white bands on its forewings (the ninth band is thin and faint). This Elegant Bush Katydid is a female because it possesses a large, curved ovipositor. 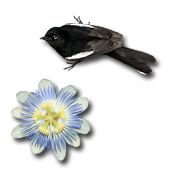 After she mates, the female will use this ovipositor to deposit eggs on host plants. These eggs will hatch the following spring, and the small katydid nymphs will then feed on the leaves.